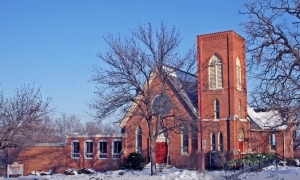 Historic St. Luke's Church: Built in 1881, St. Luke's is a beautiful setting for weddings. 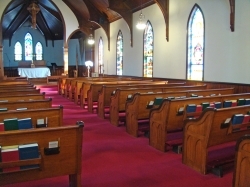 The pews were built in the 1860s. Other furnishings date to the 1880s, including the stained glass windows. The church seats up to 150 with the space for musicians, clergy and attendants. For a complete historical experience, contact Dakota County Historical Society for a reception at the historic Le Duc house that is located nearby. Handicap accessibility: An elevator provides accessibility to all areas of the building, except to the Choir area in the sanctuary. Sound system: 2 choir microphones, one solo microphone and 2 wireless microphones plus an additional 2 stationary microphones for readers. An organ and a piano are available but the cost for the building does not include musician fees. Steve Bacon is our organist/pianist and may be contacted. You do not need to be a church member to rent St. Luke's building for your wedding. * A Member is defined as someone who has been an active participant and member in good standing at St. Luke's for at least one year. A non-Member is defined as a resident in any surrounding community who has not been a participating member of St.Luke's or attended on a regular basis for the past year. 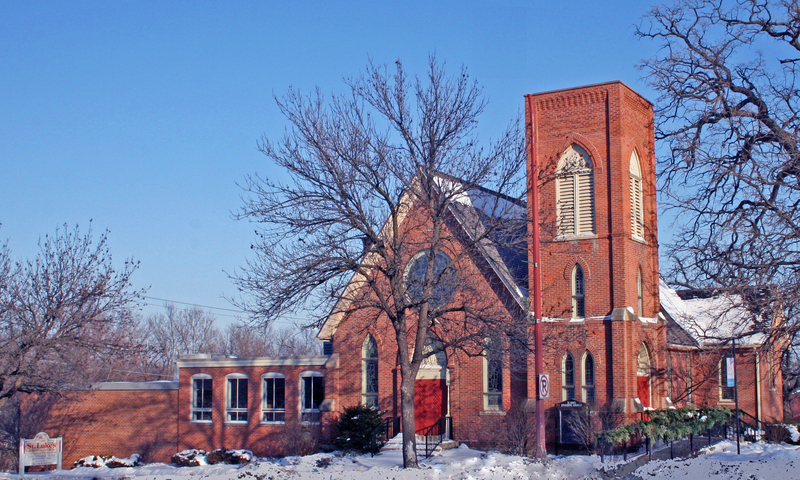 $500 covers the use of the building (the rental does not include any services by musicians or clergy). Candelabra & Candles are an additional $25. All money is due and payable no later than two days before the wedding. Use of the kitchen for keeping snacks and soft drinks. 1. The state of Minnesota requires a marriage license to be married. Weddings held at St. Luke's should meet this requirement. 2. St. Luke's is a worship space and we ask that our building and facilities be treated with respect. Nothing is to be removed from the table behind the altar; this includes the cross and tabernacle (small wooden box). No furniture should be moved without permission from the pastor or member in charge. 3. Our microphones cost a minimum of $400 and should be used with care. 4. We ask that there be no consumption of alcohol on the premises, either in or around the building or parking lot. 5. The building itself is a smoke free environment but there are smoking areas outside. 6. Compensation for any damage is expected.